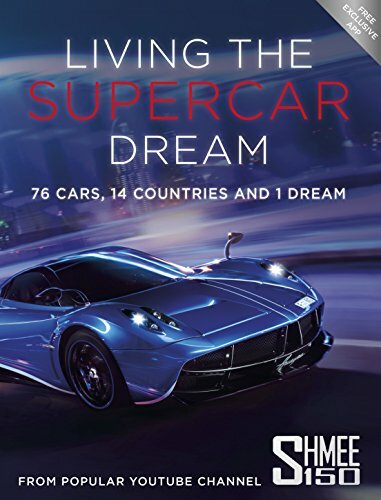 Living The Supercar Dream is the ultimate supercar book created by Tim Burton - owner and creator of the hugely popular YouTube channel Shmee150. Engaging millions of followers through his infectious excitement, exclusive access and unparalleled knowledge of the supercar industry, Tim has created one of the biggest automotive channels in the world, sharing his adventures on a daily basis and filming the most amazing luxury cars in existence. In Living The Supercar Dream, he takes readers on a road trip across the globe, experiencing the most incredible locations and the cars that have defined their landscapes. From driving the high-speed Bugatti Veyron 16.4 Grand Sport Vitesse across the German countryside to twisting down the mountain roads of the Alps in his Porsche Cayman GT4, driving Italian designer cars through the streets of Mediterranean cities to testing the limits of his McLaren 675LT on track in Portugal, Tim takes readers through the unique features of each car against the spectacular backdrops they were made for. Capturing Tim's honest and personal touch, this is the ultimate guide to the world's greatest high performance and luxury cars. This paperback book has 224 pages and measures: 24.5 x 19 x 1.5cm. Shmee150 is the personal brand of Tim Burton, who travels the world creating the greatest and most exclusive automotive content possible, capturing the content using his signature video selfie technique. Many of his fans and friends will characterise Tim as being hardworking, enthusiastic, aspirational, courteous, honest, polite and committed. Tim uses his experiences, enthusiasm and articulate way of speaking in his videos to showcase the world of supercars to his fast-growing audience.